Everyday it seems like there is one more piece of technology to harness and new advancements released. And doesn’t everything from your smartphone, iPod, iPad, tablets, etc. need to be synced together for optimal use? There are cords and programs that, at times, can seem overwhelming that all of these technologies link together BUT once they are linked your productivity skyrockets! This also is true when you harness the power of your existing QuickBooks application and sync it with Service Proz–uniquely designed by professionals for the home service industry. With just a few clicks your customer’s and your business’s important information and data, including things like billing and invoicing, are synced for the unmatched productivity provided by Service Proz workforce management solution. Once Service Proz and QuickBooks are synced the possibilities of organizing your company’s important data is endless! You will have more time to focus on your business and your customers. Service Proz works seamlessly for you because Service Proz is tailored and targeted to the home service industry for your convenience and your company’s success. 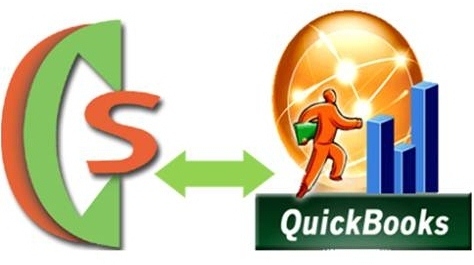 Once the QuickBooks application is open on your computer, it literally takes just a few clicks to upload and sync data with the two applications. All the information you need for your company will then be right at your fingertips. Now, from just one application, once Service Proz and QuickBooks are synced, you can manage customers, employees, billing and invoicing from just one place. That means either from the office, on the road or on a vacation! And all the information is stored securely and safely in the cloud for mobile access from just about anywhere giving you more time to do just about anything! Please contact Service Proz today for more information or a free demo to begin your journey to increased efficiency for your company! Posted on January 13, 2013, in Service Proz features and tagged features, QuickBooks, service proz, the cloud. Bookmark the permalink. Leave a comment.